[1:56] Economists agree that Brexit is not a good economic idea, here’s why. [5:58] It could also be more difficult more difficult to battle terrorism with open borders. [15:23] Current political positions are considerably right compared to the former government. [16:52] Immigration is still considered a good thing for the country who accepts the immigrants. [22:47] Poor immigrants can understand markets and create products that others don’t. [24:00] Talking points of the possible benefits of the self-driving car. 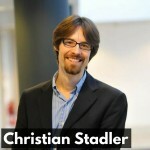 [29:15] Contact information for Christian Stadler.